Just what is a bed in a bag set, you might ask? Just like the name says - it is a completely matched bed ensemble that you can carry home in a bag! 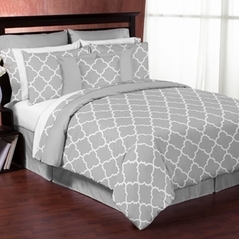 Turn your bedroom into a master suite with just one purchase! A bed in a bag set contains everything needed to make a perfect bedroom set: matching comforter, bed skirt, pillow shams, and embroidered throw pillows. 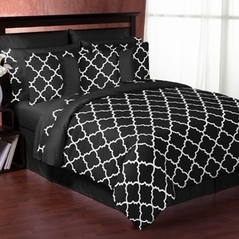 Hand-stitched designer luxury quality at bargain prices, this is an inexpensive must-have for your bedroom makeover. And, if you're feeling really creative, check out our vast selection of window treatments. You're bound to find something you love! In addition, a featherbed can turn restless sleep into quality Zzz's! View our selection of down bedding and microsuede products, as well as our gorgeous sheets. 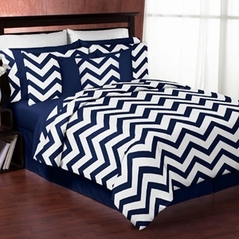 Make your dreams come true with one of our luxurious bed in a bag sets! Trying to give your bedroom a style makeover? Perhaps this is your first time living on your own and you�ve never been faced with a decorating project. Or maybe you�re converting a spare room in a nice guest bedroom, but don�t have the time to spend thinking about finding a coordinated color palette and design scheme. Before you start thinking about rearranging furniture and cracking open a can of paint, consider the impact your bedding set has on the appearance your room. 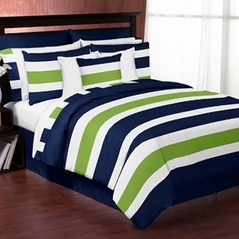 If convenience is what you�re after, a bed in a bag set is just what you need. You might think bed in a bag sets are just meant for college dorm rooms, but you can actually find stylish sets in sophisticated colors and styles fit for master bedrooms. Your bed is the focal point of the room, and simply replacing old comforters and pillows with something new can really update the look of your bedroom. 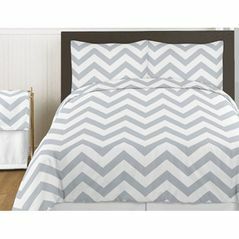 Bed in a bag comforter sets are a great option for anyone looking to upgrade the style of their current bedroom set without too much time and effort, because everything has been coordinated for you! 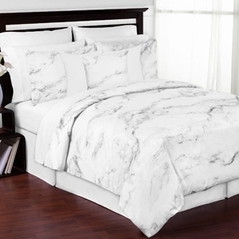 The beauty of a bed in a bag set from Beyond Bedding is that you will get everything you need to turn your boring bed into a true statement piece: a comforter, bed skirt, pillow shams, and two decorative pillows. At Beyond Bedding you can easily find bed in a bag king sized sets or bed in a bag queen sized sets that come in luxurious colors and textures to make your room like instantly modern and pulled together. If you are redecorating your master bedroom and need a bed in a bag king sized set, consider something ultra-luxurious like a soft microsuede set. The fabric looks and feels incredibly rich, but is actually light to the touch and unbelievably comfortable. The true beauty of a bed in a bag comforter set is that everything will come in one perfectly matched package. To continue the theme of coordination, consider adding a fresh coat of paint on your walls. If you just have plain white at the moment, consider painting the room in shade that compliments the bed in a bag set that you choose. Or if you want a quick fix, you might consider adding an accent wall behind your bed. This is a really great trick for anyone who doesn�t have a traditional headboard attached to your box spring and mattress, and it adds a stylish decorating touch to your room. Try going with the darkest shade used on the comforter in your bed in bag set for the accent wall, as it will draw the most amount of attention towards your bed. To create a soft and relaxing atmosphere for your room might also want to update your lighting. Bright overhead lights are out of place in a bedroom; try to stick with table lamps for a soft glow. You can also add some nice scented candles, floor cans that project light upward from the floor, and wall sconces for added luminosity and decorative flair. 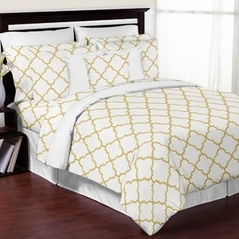 Whether you are looking to cut down on time or expense with your next decorating project, bed in a bag comforter sets are a great way to instantly give your bedroom a facelift. The key to successfully decorating bedrooms on a budget is to remember who you are designing it for, and then use your creativity to create abundance within your means! Bed in a bag comforter sets are the perfect no fuss way to start redecorating any room because they provide you with the foundation for a brilliantly coordinated decorating scheme.